Two broadcasters, both perceived to be sympathetic to president Jacob Zuma and his government, are set to launch 24-hour news satellite channels on the same continent-wide MultiChoice DStv platform. Broadcasting sources confirmed to the Mail & Guardian this week that the SABC is back in discussions with DStv over a round-the-clock station and will therefore compete with the politically connected Gupta family in the same market. ANN7 (Africa News Network 7), or Gupta TV as it was dubbed by the media when its broadcast plans were revealed early this year, has recently started hiring staff, including presenters, anchors, reporters and producers, and has said it will launch later in the year. It will broadcast in multiple languages and focus on local, national and world events. The cash-strapped SABC has ­previously signed two contracts with MultiChoice to launch its own 24-hour news channel, but the proposed channel failed to take off because of a lack of available ­government funding. At the time, it was said that the SABC plans to make the news channel available as a free-to-air digital channel once South Africa finally switches to digital terrestrial television. SABC CEO Lulama Mokhobo and some board members admitted in February that the public broadcaster was caught completely off guard when the news broke about ANN7, as it had not known it was even in the offing. However, proposals for the SABC’s satellite channel were later put on ice after the entire board was dissolved and an interim board took its place. This week, Mokhobo told the M&G that the public broadcaster had almost paid off the R1bn government guarantee it received in 2009, and was hoping to raise the money from its own resources to start its 24-hour DStv news satellite channel. Deep pockets are needed. A senior television executive, who was working at e.tv when it was launched on DStv more than a decade ago, said the budget then was about ­R400m to R500m over three years. She said the public broadcaster had completed its new corporate plan and the mistakes of the past had been thoroughly examined. “We are looking at working and implementing new ideas but funding remains an issue,” she said. Former SABC board members committed to the satellite project were infuriated when they learnt in February this year that the Gupta family was expanding its influence and launching its news channel. One of the Guptas’ current empowerment partners is Zuma’s son, Duduzane, who — with Rajesh Gupta — is a director of Mabengela Investments and sits on the board of directors of JIC Mining Services with Rajesh and others. The controversy over free screenings by the public broadcaster of business breakfast events hosted by the New Age is still raging, as state-owned companies have paid millions of rands to bankroll the breakfasts. 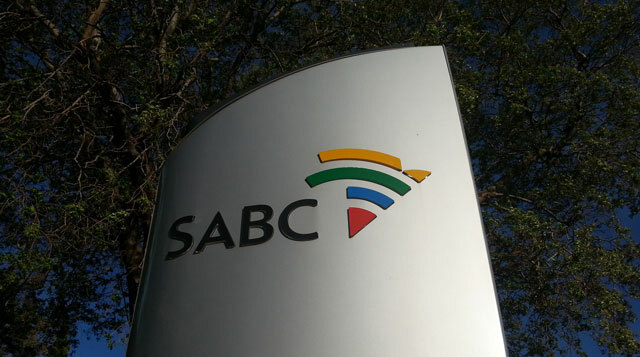 The SABC has defended its involvement, saying the programme is reaching a wide audience. No further details about who the empowerment partners will be were forthcoming this week from Nazeen Howa, chief executive of TNA Media, which owns the New Age. “The channel will be the subject of a general media release in the next few weeks, which will cover all relevant information,” Howa responded. One former SABC board member who would still like to see the broadcaster’s 24-hour channel up and running is Cedric Gina, president of the National Union of Metalworkers.